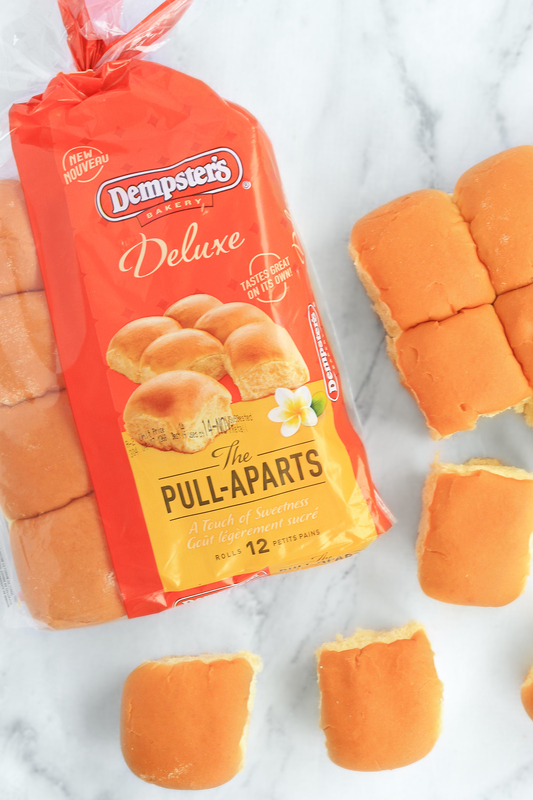 Have you heard about the all-new Dempster’s Pull-Aparts? Y’all know how busy I am, well … if you don’t, now you know – I am BUSY! One would think being a work-at-home mom might be easy and I would have all the time in the world. I am always on the hunt for easy products that can be easily enjoyed on-the-go, or tossed in a lunchbox as is! I have far too many mornings where I barely just shut my eyes to sleep and then I wake up late to a clock reading 8 am, the school bus comes at 8:30 am. Those mornings I am running around wildly getting Bella’s clothes, breakfast, making lunch and reminding her 1 million times to eat faster and go brush her teeth! Bella isn’t a sandwich type of kid, she prefers her meat and bun separate. 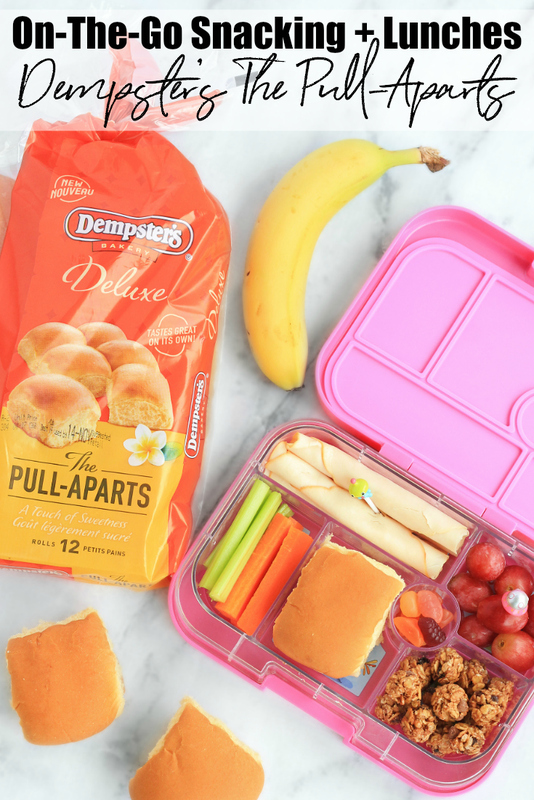 On days I don’t have time to make a warm lunch before school, I reach for my go-to Dempster’s Pull-Aparts! She loves this sweet snack, and I love how fast and easy lunch comes together in a pinch (or when I am just lazy). It’s not your regular bread roll though folks. With a hint of sweetness, there is no need for jam, meat or butter, it can be enjoyed all on its own! We always have at least 1 or 2 bags of Dempster’s Pull-Aparts in the house because they are also great for snacking! When the kids get home from school they are usually hungry, but I don’t want them ruining their appetite for dinner or eating a bunch of junk food. Dempster’s Pull-Aparts are a quick grab for the kids after school, something I don’t have to help with or supervise. It also seems we are always on-the-go. Whether Steve is driving my older two to their fathers for their visitation or we are heading out to visit my family in Hamilton. The car is somewhere we spend a lot of time. Both of those drives are a good hour long and snacks are a must. It helps to keep the kids occupied and from fighting or bothering us that they are hungry. Pulling off the 407 to eat mid-trip is not ideal nor is it good on the wallet! So, we always toss a bag of Dempster’s Pull-Aparts in the van when we head out. They are something our whole family enjoys and all you have to do is literally pull them apart! You are probably wondering what that bridge picture has to do with this post? 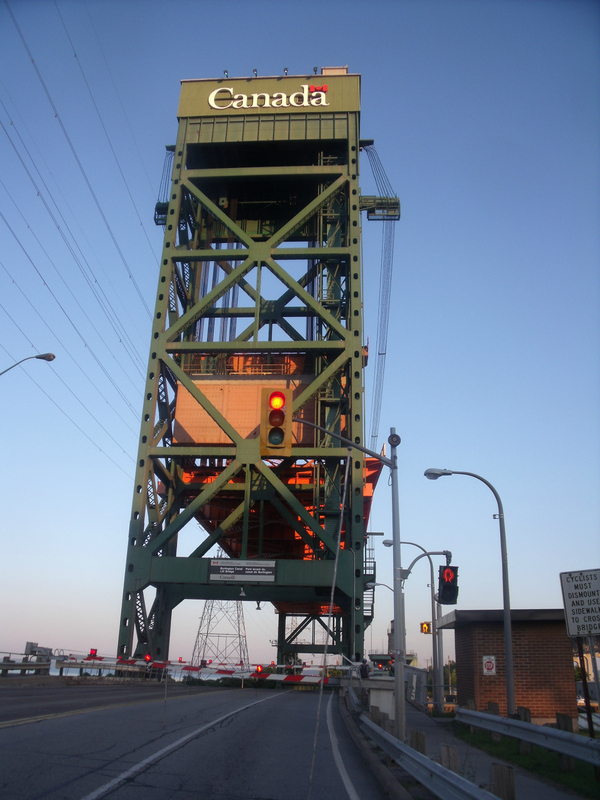 Every time we drive to Hamilton I make Steve take the Burlington lift bridge. I am petrified of the Skyway bridge. Weird since I love heights and have been skydiving, but I just do not like it! Almost every single time we get stuck waiting for a boat to pass and the bridge to come down. Steve no longer lets me come for the drive to drop off the older kids at their dad’s. Without me in the van, he can drive over the big bridge and get there faster (so he says). 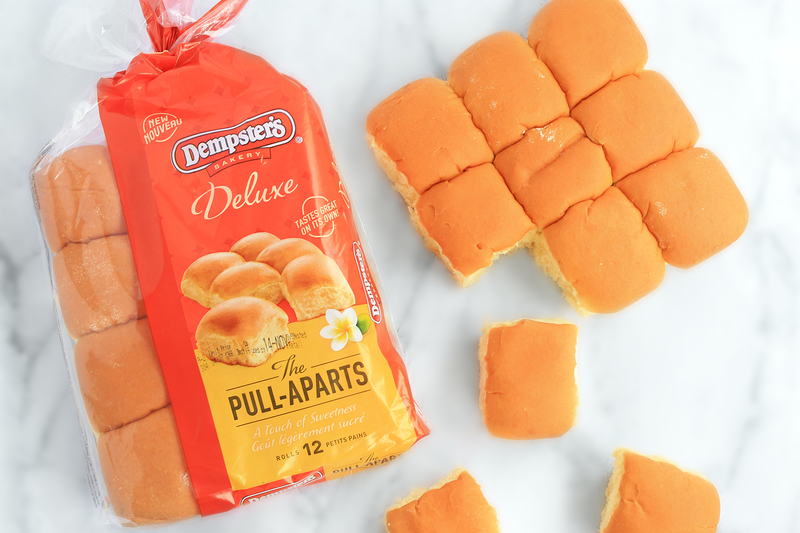 No better time to pull apart a Dempster’s Pull-Apart! Parents rejoice! 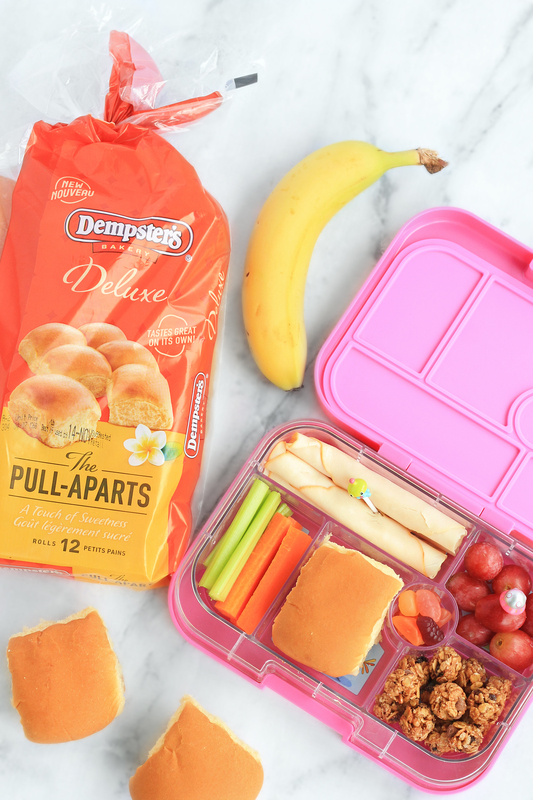 Dempster’s Pull-Aparts are made in a nut-free facility so you can rest easy sending them in their lunch. While none of my children have a nut allergy, I understand the need to have schools be nut-free. A nut allergy can take a life in a very short amount of time. This is why I am so very conscious of what I buy for school lunches! Dempster’s Pull-Aparts are now available at most major retailers across Ontario. 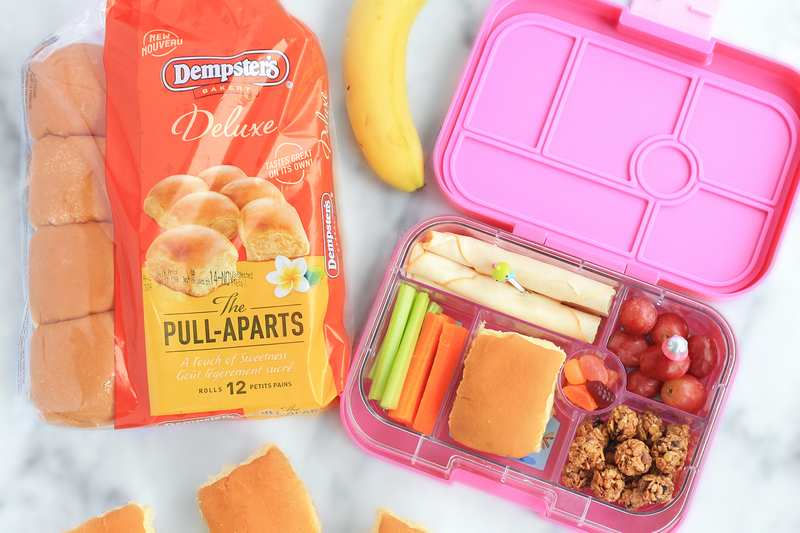 So, the next time you need a grab-and-go snack or lunch option, pick up a bag of Dempster’s Pull-Aparts and see how delicious (and easy) they are! Visit Dempster’s to find out more about the new Dempster’s Pull-Aparts. Disclosure: Although this post is sponsored, the opinions and language are all my own, and in no way do they reflect Dempster’s. So excited to try the pull aparts! Love anything that fits in the yumbox!!!! These look cool! I’m always looking for different lunch ideas!